When you think of companies that have nurtured a great “brand voice” on social media, which organizations come to mind? As I continued to dig in, I noticed a striking trend. All these brands that people were lauding as having great “brand voices”–they were all snarky, hip, young, energetic voices. They all involved witty–and oftentimes–funny language. They all involved a degree of humor. They all were fun, light and airy. By looking at these lists and case studies, one would think you’d HAVE to be young, witty and funny to establish any kind of successful brand voice on social media. But, we know that’s simply not true. However, it does appear to be a myth under which many people are operating (the recent Chevy product launch seems to be a perfect example). Clearly, not all brands need to have a snarky, witty and/or humor-filled voice on social media to be effective. A good, consistent brand voice should be a reflection of your brand and your brand values. It should be your brand personality described as an adjective (I read that somewhere–can’t find the source right now, so this isn’t my line, but I like it). Really, your brand voice should be boiled down to a few simple words. 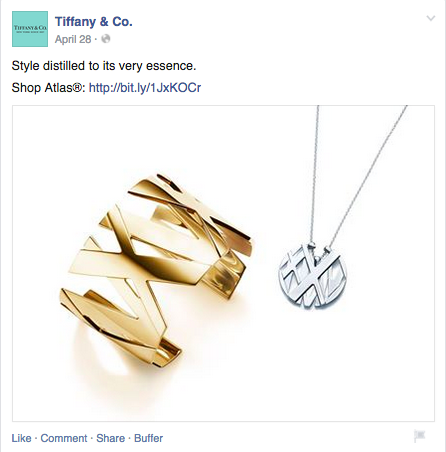 For example, I think Tiffany & Co. has a great brand voice on social. I would describe it as: Simple. Elegant. Refined. Notice the brevity in the text. Notice the simple product shot. Notice the white space. Notice the words they use. And, notice what they’re NOT. Funny. Witty. Snarky. Targeting 20-somethings. 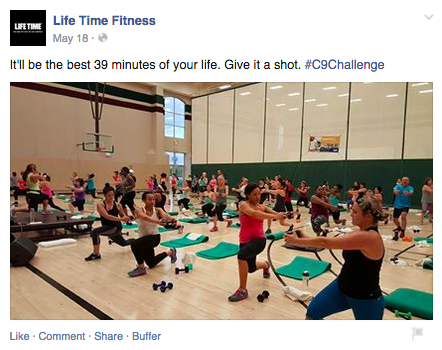 Or, what about Life Time Fitness? Here’s a brand (love to pimp my friend Tony Saucier’s work) that’s voice can be summed up in two words: motivation and inspiration. Again, nothing overly witty or funny here. 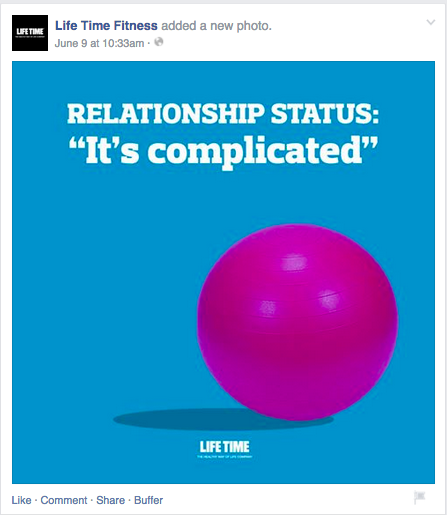 Sure, Life Time’s voice is light-hearted in spots (they are a fitness/wellness brand, after all!). But, I’d hardly put it in the same bucket as Oreo. Life Time Fitness appears to be more aligned with its “real life” brand–which focuses on wellness, motivation and health. Or, what about Hilton on Twitter? 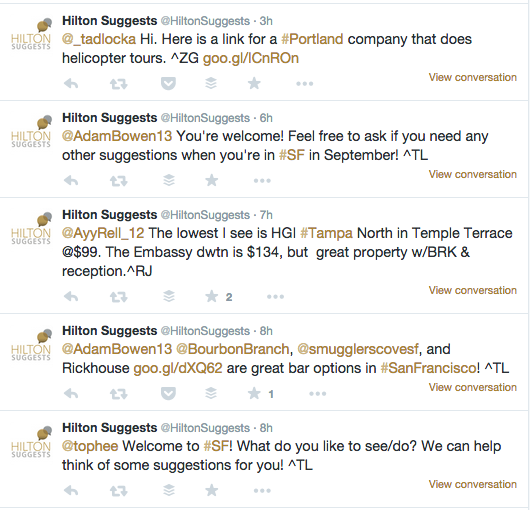 It’s @HiltonSuggests account’s voice can be summed up in ONE word: Helpful. Not funny. Not cute. Helpful. So, I’m here today to stand up and say, you don’t need a cute, fun, witty voice on social to be effective. But, you do have to be your own brand. Aligned with your mission. Speaking in a tone and style your customers will appreciate and understand. That’s what makes a good “voice” within the social media world. What Does “Community” Mean for B2B Digital Marketing?